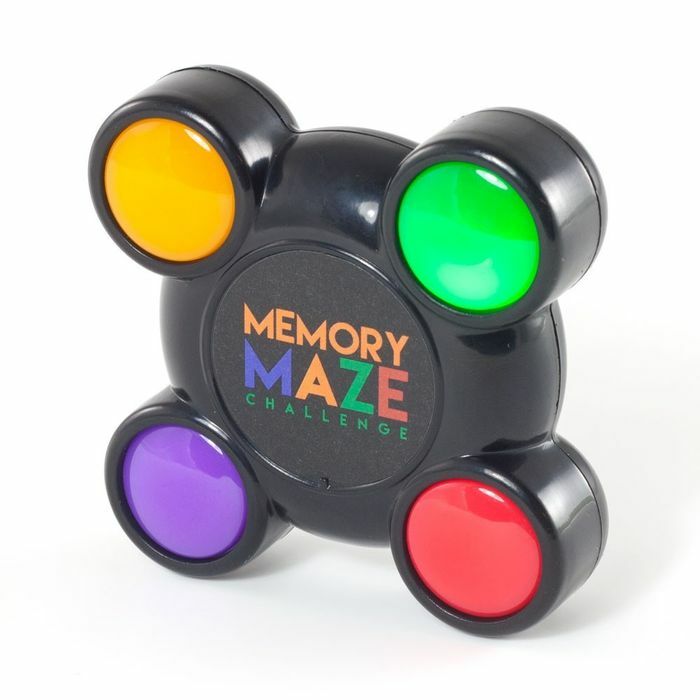 This Memory Maze Challenge Pocket Game will rack your brain in order to follow the random sequence patterns. Watch and listen as the lights flash sequences, accompanied by musical notes. Simply repeat the sequence shown in order to win. Succeed the memory pattern, and the length of the sequence increases. A nifty auto-off feature ensures you get the most battery life for long-lasting fun. Can you keep up with the Memory Maze? I had Simon said one. And I enjoy that one kep you on your toes. Going treat my self to this one. It just looks like the Simon said one. Hope you had a lovely end. I had a quite one. It's not long now to your holiday is it. Thank you hspexy for sharing this deal.